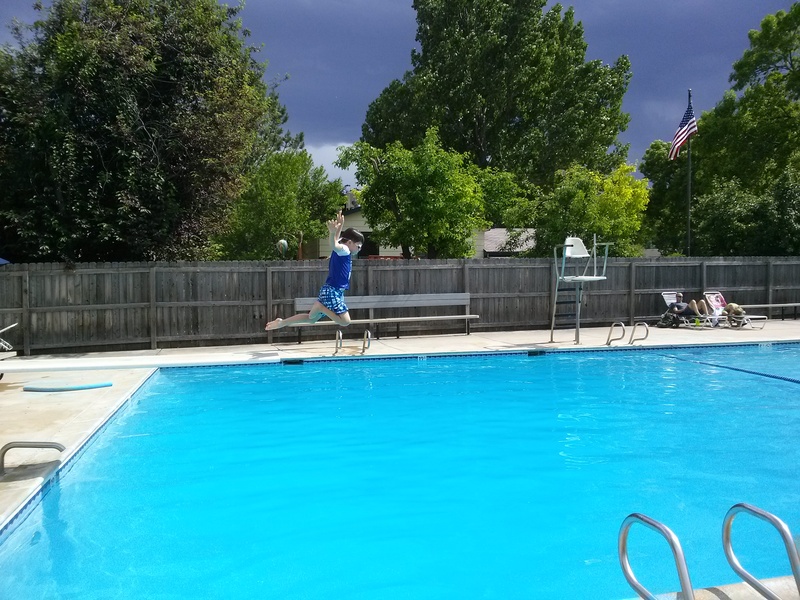 Open from Memorial Day weekend to Labor Day, the Foothills Green Pool has been providing cool summer fun for over 30 years! The pool is open to members and their guests daily during the summer months and is available for private parties, group and individual swimming instruction. Countdown to 2019 Pool Opening! 2018 Season Starts Saturday at 10am! 2018 dues are $350 and due on May 1st. Please send payment to Foothills Green Pool Association, 2006 Union Dr., Fort Collins, CO 80526 or pay using the PayPal “Pay Now” button below. Please note there is a $10 processing fee if you pay online via PayPal. Fort Collins Summer Synchronized Swimming Club practices at our pool Monday through Friday in June & July every year from 8-9am. Kids ages 5+ welcome. Previous experience not necessary. Lighthearted, optional competitions up to 4 times per season. Kids should be comfortable in deep water and submerging. For more information please contact JoAnne Bennett at (970) 481-0081.